Haypress in Tennessee Valley is a great campsite for any beginner backpacker or last-minute seasoned slackpacker. It’s an easy excursion just out of San Francisco city limits nestled in the quiet Golden Gate National Recreation Area in the North Bay. November 1 to March 31. Haypress in Tennessee Valley is a great campsite for any beginner backpacker or last-minute seasoned slackpacker. It’s an easy excursion just out of San Francisco city limits nestled in the quiet Golden Gate National Recreation Area in the North Bay. You backpack your gear in for about a mile on an access road from the main parking lot, enjoying the calm, stillness of nature. Civilization is just a mile away over the rolling hills to the east, but you wouldn't ever guess it because you have no cell phone service and are completely surrounded by the wilderness. Haypress is easy to fall in love with—it’s free, close to civilization, easy-going and welcoming to all types of backpackers. 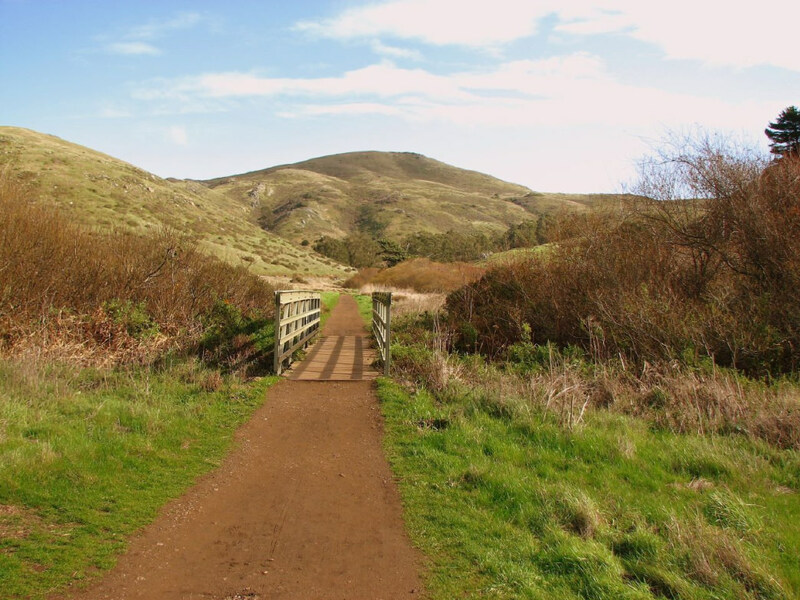 Tennessee Valley is even more convincing and easier to fall in love with—it has it’s own pristine beach, colorful meadows, rolling hills and plenty of wide-open space. Haypress rests right in the center of Tennessee Valley, showcasing all of its natural perfections both day and night. Owls guard their nests from above and harmless snakes slither across the trail below. Baby seals play in the beach break, and the stars magically sparkle in the night sky. Nature is at her finest here in Tennessee Valley, and what better way to see her than cooking dinner over your camp stove without worrying about checking your emails, because you can’t here. Local volunteer rangers check in with backpackers each night, offering friendly service and helpful advice. Bear boxes are provided just in case, but there aren’t any bears. Don’t forget your mountain bike! You can explore awesome rides just outside your campsite. Anyone hungry to get out of town to relax will appreciate Haypress. It’s perfect for those just learning about backpacking (your car is only a mile away just in case!) and great for the seasoned camper looking for a quick escape. Haypress is free and no reservations are required. It’s small, but perfect for you and 3 buddies. The best part is you can wake up the next morning to unlimited wildlife exploration: horseback riding, ocean swimming, trail running, mountain biking and flying a kite, just to name a few. To get to Tennessee Valley, take the Stinson Beach exit off of Highway 101. Turn left on Tennessee Valley Road, driving about two miles to the trailhead. 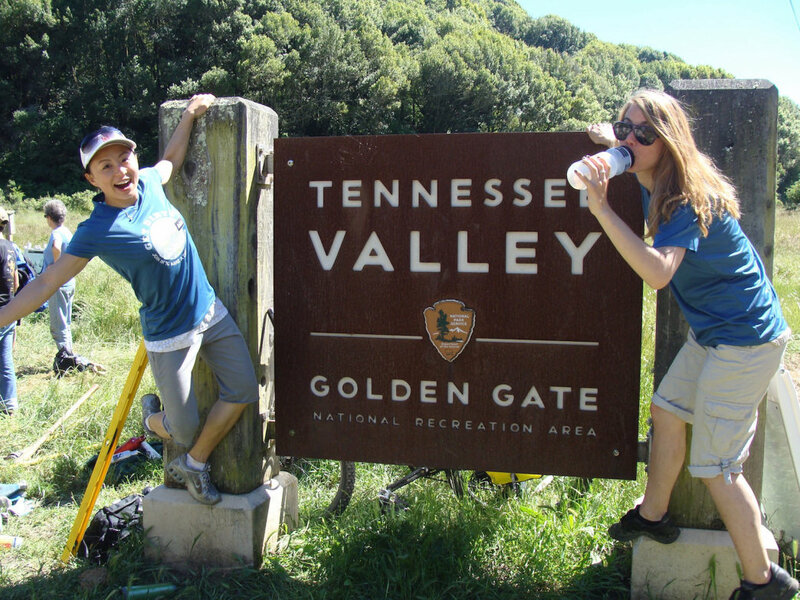 Park your car and grab you gear, hiking one mile to the campsite. No campfires. Leave your phone at home, but remember to bring your own camp stove and water. There are five sites, hosting 4 people per site. Groups can reserve the whole campground, too.